The North East RD Owners Club™ . We are a dedicated group of indivduals brought together by the classic RD range. Celebrating our 10th rally anniversary in 2015 which attracts other RD owners fron all corners of the UK. Meetings every 3 weeks on a Wednesday 8pm. Rallies, rides out, shows etc. We have monthly meetings and ride outs from the heart of the North East. We attend bike shows to share our passion for the 2-stroke classics. 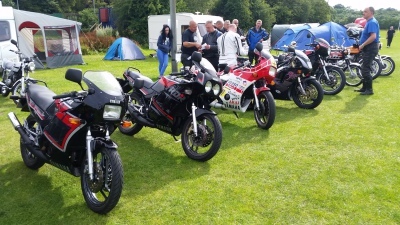 Our members have a vast array of experience and first hand riding of most 70's to 80's 2-strokes along with the technical advisor to the Yamaha RD Owners Club.